Frosty and Rudolph, Dec. 20th Pets of the Week! 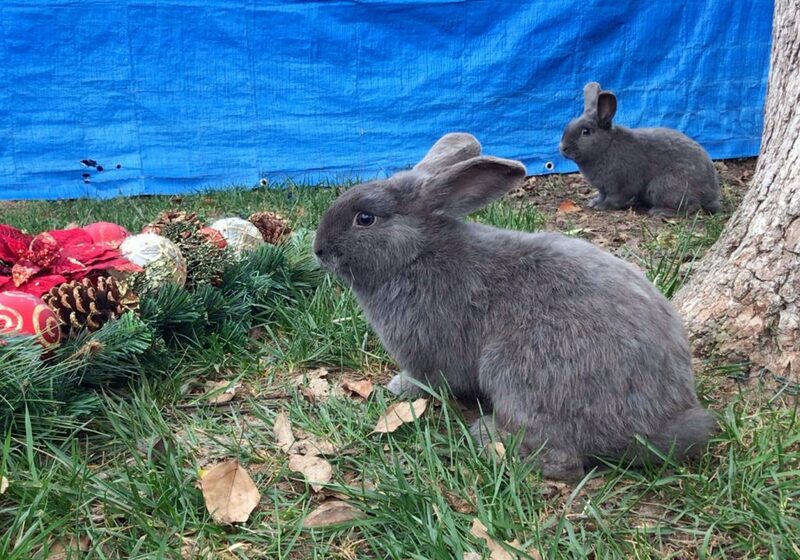 Frosty the rabbit, with his gray-nosed buddy Rudolph … Frosty and Rudolph were brought in to Animal Care Services at the beginning of December and were given Christmas names in the hopes that someone would give these two beauties the gift of a forever home. Both bunnies are gray shorthair rabbits and like people of all ages very much. There are enough rabbits at the shelter’s Bunny Barn to fill Santa’s sleigh, but remember that pets aren’t gifts—you are their gifts! Meet Frosty and Rudolph on the shelter side of the Companion Animal Village at 7700 East Spring St., (562) 570-PETS. Ask for ID#A618605 for Frosty and ID#A618604 for Rudolph.